The game Naruto H5 has been launched by instantfuns! 7 Days and Half-Month Event: special benefits for the first 14 days of Server Launch! 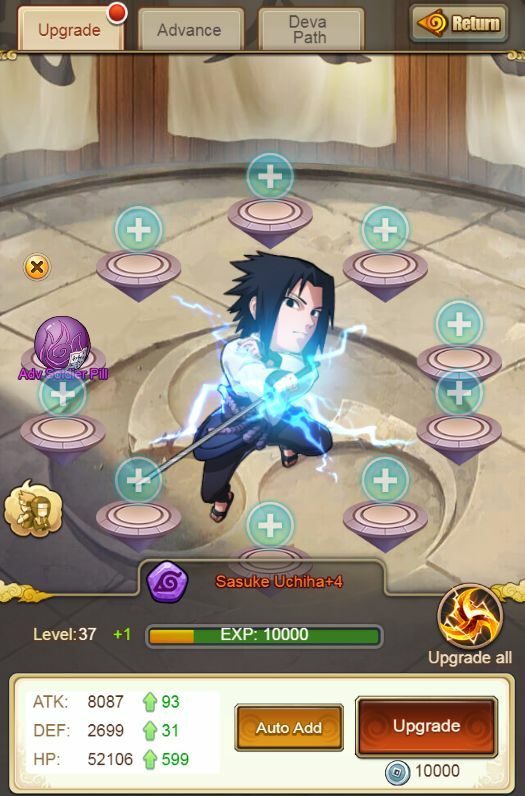 Each day of the Naruto H5 event has 4 parts. In addition to different Half Price items and Daily Benefits for each day, there are two other parts: Complete set amount of tasks to obtain abundant rewards such as Awakening Gems, Weapon Spirits, Orange ATK Treasure Chests, Ogi Scrolls, Sage Crystals and other items. The Half Price is only available in the first 7 days of Server Launch. Don’t miss it! The 7-Day Total Top-up is only available in the first 7 days of Server Launch. There are super items and rare resources to help you reach the top such as Awakening Gems, Ogi Scrolls, Weapon Spirits, Best Orange Ninjia and other items. The Event time is from the 9th Day of Server Launch to the 14th Day of Server Launch. It includes the rewards for upgrading Ninjas like Advancing Gems, Adv Soldier Pills, Best Orange Ninja, Adv Literatures and other rewards. Top up for the first time to claim the Best Healing Ninja and other rare items! Total top-up reaching $99.99 can claim the great rewards including Best Orange Ninja, which highly improves your BR! The top-ups in other events are also included. Don’t miss this Super Value Event! During the event, single Top-up reach designated amount (total Top-up is not calculated) to claim corresponding tier items! Daily single top-up $4.99 or $9.99 to claim the gift packs. During the event period, top up days reach requirement can obtain corresponding pack. Top-up any amount each day can add one day.